I am glad to share with you this fine article as previously published on the partner blog Esmeralda’s Cumbrian History & Folklore and written by Diane McIlmoyle. Re-posted under her kind permission. All rights reserved by the author. The word, ‘elf’ is derived from ‘alfar’, the Scandinavian word for diminutive supernatural types; they are, if you like, Viking faeries. There are several Elf Howes; the Elfa Hills; Elva Hill, Elva Plain and Elva stone circle; Elf Hall at Hallthwaites, Ellabarrow at Pennington, and lots more. The elven ‘howes’ and ‘barrows’ are an interesting continuation of the pre-existing tradition of faery hills. In 1885, a vicar from Lanercost recorded the story of a Bewcastle man who was dragged off his horse and nearly pushed into a faery hill. The only thing that stopped this calamity was the page of the bible that he kept in his pocket specifically with this need in mind. Ellabarrow is home to ‘Lord Ella’ who sleeps under the hill with his golden sword, waiting to be awoken in a time of need. Of course, many parts of the country have a tale of kings and knights who live under the hill – I recall one about a sleeping King Arthur from Alderley Edge in Cheshire – that are clearly related to faery/elven hill stories. A lot of the detail in elven/faery folklore supports the link with ancient peoples. Lord Ella’s ‘golden’ sword could have been folk memory of a bronze blade, mistranslated by time. Ancient beakers unearthed by farmers – probably from an ancient grave, whether they realised it or not – were said to be ‘faery cups’. And well into the 20th century, neolithic flint arrowheads were believed to be faery arrows, or ‘elf-shot’. For hundreds of years, if cattle were taken ill, they were said to be ‘elf-struck’, which meant they had been shot with a faery arrow. There’s even a theory that our colloquial medical term, ‘stroke’ is derived from elf-stroke, too. The cure in Cumbria was to touch the beast (or, presumably, the human) with one of the faery arrows or to give it water in which the arrow had been washed. The arrowheads were valuable commodities and carefully preserved for this purpose. In 1712, Bishop Nicholson remarked in his diary, that at ‘Bowness (on Solway)… we saw several Elf Arrows, too pretious (for the cure of Cattle Elf-shot) to be parted with’. I was rather elf-struck myself recently to read Marjorie Rowling’s assertion that the elves got the elf-shot from the faeries, who, in turn, were given the arrows by mermaids. For one, this suggests that tradition does reflect a chronological succession from faeries to elves. But secondly, and more importantly – where did the mermaids come from? Whilst Cumbria’s coast has been far more important to its development than the casual observer might realise, we don’t often hear of mermaids. What we do have is a strong tradition of faeries – and it usually is faeries, rather than elves – at other watery places: springs, wells and tarns. St. Cuthbert’s Well at Edenhall is said to be an entrance to faeryland; perhaps this was the home of the faeries who gave the Luck of Edenhall to the Musgraves. There are numerous similar stories recorded by Cumbria’s pre-eminent faery tracker, Mr Alan Cleaver. 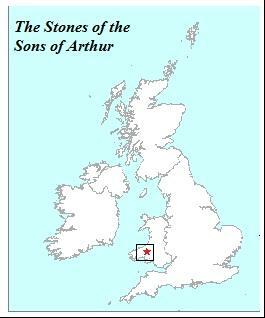 Arthur’s Stone: The last resting place of King Arthur? I am glad to share with you this new interesting review posted by Clas Merdin, owner of the outstanding blog Clas Merdin: Tales from the Enchanted Island, where he shares his interests in Early tales of Arthur the Warrior, Arthur in the Landscape, Anglo-Saxons, Dark Ages, Post-Roman Britain, and Glastonbury Legends. (All rights reserved by the author, and reposted under his kind permission – “Copyright © Edward Watson, 2012“ ). Arthur’s Stone is one of the most notable of all Neolithic burial monuments in western Britain. Located at Grid Ref: SO319431, between the villages of Dorstone and Bredwardine, west Herefordshire, England. 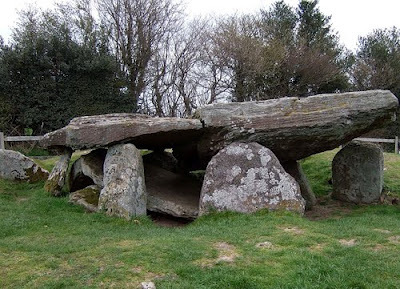 This dolmen is associated with the legend of the last resting place of King Arthur and set within a picturesque area of gently rolling countryside lying in the lee of the Black Mountains of Wales, with stunning views to the north-east over the Wye valley. To find the tomb leave Dorstone by the B4348 heading towards Peterchurch. As the road crosses the river, turn off left at a sharp right-angled bend and head uphill past Dorstone Hill Wood. Some distance further up the western slope of the ridge turn into Arthur’s Stone Lane. Continue along the lane, here on your left, overlooking the natural depression of the River Dore known as the Golden Valley, is Arthur’s Stone. Legend’s claim the site is either the tomb of Arthur himself or a giant that he killed. One stone bears the marks of the giant’s elbows when he fell dying. On another slab marks are said to have been made by Arthur’s knees where he knelt in thanksgiving after the duel, alternatively they may e marks his fingers made as he played quoits; many cromlechs in Wales are named Arthur’s Quoit and it is tempting to think that the name may once have also been used for the mighty capstone at Dorstone. By implication Arthur must have been a giant, who according according to legend, were the first inhabitants of the Island of Britain, indicative of his great antiquity and rightful association with these ancient monuments. We find another Arthur’s Stone, also known as Maen Ceti, or Coetan Arthur, in West Glamorgan, South Wales. One day, so the story goes, when Arthur was walking through South Wales near the site of modern Llanelli he became irritated by a pebble in his shoe. He removed it and threw it towards the sea. The pebble finally landed several miles to the south on a ridge of land in the Gower Peninsula just below the summit of Cefn Bryn. The pebble forms the capstone of another exposed burial chamber, a huge slab of granite measuring 14ft x 6ft, overlooking the estuary of the river Lougher. AsI commented on previous posts, animal worship was very common amongst theancient Celts. Accordingto their inward meaning, which may of course undergo transformations, they regardedanimals as human souls or their embodiment, and also held totemistic andhunting cults. This association of SpiritAnimals or “Totems” is based upon the ancient Celtic belief that alllife is related, the spirits of earth, water, air, and fire, the spirits of aplace, the trees, the flora and the animals that they lived with side by side.Many ancient stories tell how the Druids could “shapeshift” intoanimal form even present on legends like the one of Ceridwen and Taliesin. Inthe practice of their tribal religion Celts have chosen to adopt a personalspirit animal helper, which has special meaning to them. Normally this beliefis accompanied by a totemic myth. TheCeltic clans had banners on which were displayed the picture or symbol of theirclan animal, as with the banners of the Fianna. Individual devices were paintedon shields and sometimes tattooed on the body. This may well be the origin ofthe heraldic devices that became so popular in later times. Wemay also consider certain shamanistic practice by druids for employing swanfeathers to make the ritual cloak of the Bards probably considering theswan as “assistant spirit,” oreven“guardian spirit” , clear reference to the shamanic ability of flight. This connection to the realm of spiritsand the gods, undoubtedly led their path in search for secrets and wisdom. Nearlyall shamanic cultures believe in Animal Allies or helpers. These creatures havethe appearance and many of the characteristics and behaviour patterns ofordinary animals, birds, and fish, but they can communicate with the shaman.Sometimes these animals become protectors and guides for the shaman, both whileshe/he is journeying in the Otherworlds and in the physical realm. 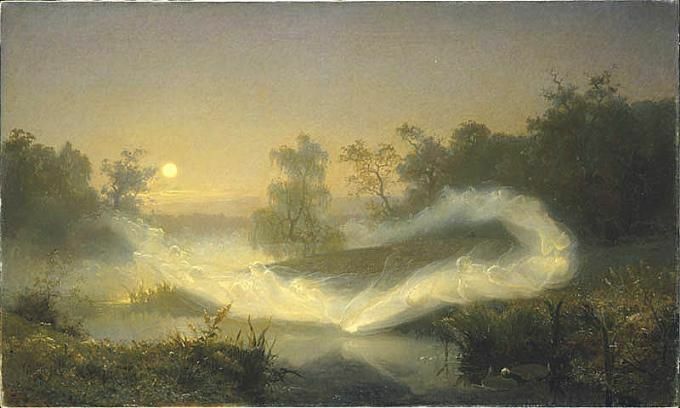 Otherways to enter the other world are by charm, like the song from magical birds (Ford,71), or by spell, like the mist descending over land (Ford,77). Wells, springs, rivers, and earthen mounds are some of the magical placesthat border with or co-exist in the other world. In these places, magic is muchmore prevalent and sometimes even time passes differently there. Specificanimals have specific associations depending on the characteristics of the typeof animal. Birds, fish, serpents, deer, cattle, swine, and so on all tend to beused as symbols. Animalsin Celtic mythology are tied in with fertility and vitality, because they areliving, moving, and growing. They also provide vitality and continued life forthe tribes through their meat, skins, and bones. Celts have a particularconnection with Birds, amongst other species. Birds are usually used torepresent prophetic knowledge, bloodshed, and skill. They play an enormous rolein Celtic mythology, figuring as divine emblems and as messengers of the gods.Chief among the sacred birds of the Celts were the raven, the swan, and thecrane, although numerous other birds including geese, ducks, and even owls wereheld sacred at various times. Many early images of Celtic deities depict themwith birds in the place of hands, emphasizing the importance of the birds asdivine servants. In an omen, birds can be either the message or the messenger. Forexample, Morrígan came in the shape of a bird to warn the Brown Bull. Theinterpretation of their calls and movements can lead to knowledge of futureevents. Birds, especially ravens and crows, usually presage bloodshed andbattle, when they are associated with it, sticking with the theme of prophesy. Birds can also be used todemonstrate a warrior’s prowess by their method of capture. Lleu Llaw Gyffeswas so skilled he could hit birds with a stone without killing them outright.Cúchulainn demonstrated even more prowess capturing birds skillfully, but hisson, Connla was still more skilled. He could not only stun them with a stone,but also with only his voice. Exceptionally magic orancient animals speak the language of humans and can pass on their wisdomthrough speech. By and large birds are associated with speech. Branwen took anordinary starling and taught it to understand enough speech to find herbrother. Gwyrhyr & Arthur’s messengers conversed with an eagle, an owl, astag, a blackbird, and a salmon to learn ancient knowledge from them. A specialunderstanding of the speech of animals can yield a great advantage. Some heroeshave gained knowledge of the speech of birds, enabling them to be warned ofdanger or told secrets by the birds. Davidson mentions a less mythical middle-Irish manuscript describing how todetermine the approach of visitors through interpretation of bird calls. Animals appear as an omen bytheir appearance and activity through a symbolic message. The type of animal andtheir activity is the substance of the message. On the eve of his battle withSir Mordred, King Arthur dreamt of being devoured by serpents, dragons, andother water beasts. The serpents and dragons alone mean great troubles withinthe land. King Arthur was destroyed by this mass of troubles, because the nextday, he was defeated in a battle during the civil war with Sir Mordred (Baines, 497-498). Another example ofan omen is Deirdre’s dream of the three great birds. They arrived bearing honeyand left with blood, symbolizing treachery on the part of king Conchobar (Pilkington, 177). Movements of smalleranimals, such as birds and rabbits, have also been interpreted to divine thefuture (Davidson, 11, MacCulloch, 219, 247). Legend says that the birds of Rhiannon arethree blackbirds, which sit and sing in the World Tree of the Otherworlds.Their singing puts the listener in to a sleep or trance which enables her/himto go to the Otherworlds. It was said to impart mystic secrets. This animal is to treatedwith care. Along with theraven, the crow is a symbol of conflict and death, an ill-omen associated withsuch Goddess as Macha, Badb, and the Morrigan. The Irish word for crow is badb,which is also the name of a Celtic war Goddess. Although the crow wasill-omened, it was also considered to be skillful, cunning, single-minded, anda bringer of knowledge. It is of value when trickery is needed. It also teachesyou to learn from the past, but not hold onto it. These birds were most oftenassociated with the Crone aspect of the Goddess. The word “cailleach”in the Scottish-Gaelic means “owl”. The owl is often a guide to andthrough the Underworld, a creature of keen sight in darkness, and a silent andswift hunter. It can help unmask those who would deceive you or take advantage ofyou. Take care when dealing with thisbird. An important totem animal of the Celts. In Ireland the raven wasassociated with the battlefields and such goddesses as the Morrigu or laterWelsh Morrigan, just as was the crow. The bird was connected with Bran theBlessed; in Welsh bran means “raven”. Although its reputation isdubious, it is an oracular bird. It often represents the upsets and crises oflife that are necessary for anything new to be created. Seagulls do not figure in Celticlegends. However, they are connected to sea deities, such as the god Manannanmac Lir and the goddess Don. Like other birds, they are messengers from theOtherworlds. 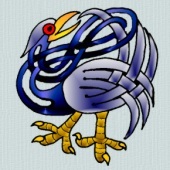 A mystical bird who figures inseveral Celtic stories. Its feathers were often used in the ritual cloak of theBards. Swans are connected with music and song. Swans also help with theinterpretation of dream symbols, transitions, and spiritual evolution. A sacred bird to the Druids, itsmusical notes were used for divination. As with many other birds, the wren wasconsidered a messenger from the deities. "The Stones of the Sons of Arthur"
I am falttered to share with you this very interesting review posted by Clas Merdin, owner of the outstanding blog Clas Merdin: Tales from the Enchanted Island, where he shares his interests in Early tales of Arthur the Warrior, Arthur in the Landscape, Anglo-Saxons, Dark Ages, Post-Roman Britain, and Glastonbury Legends. (All rights reserved by the author, and reposted under his kind permission – “Copyright © Edward Watson, 2012“ ). 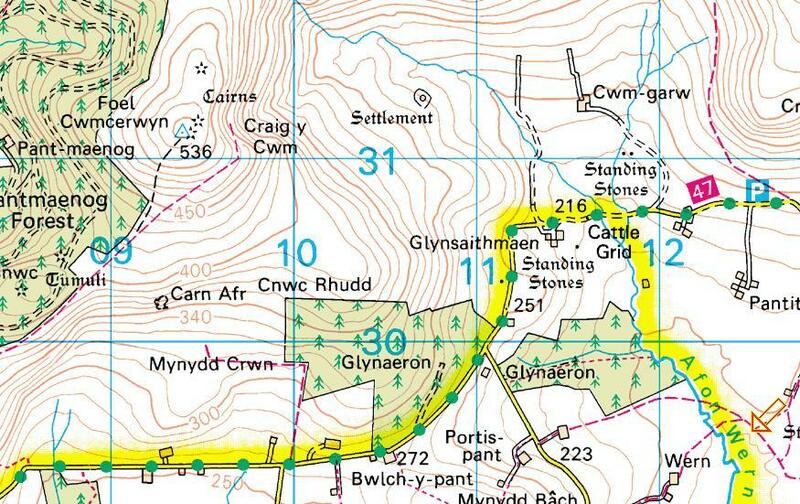 According to local lore the site of the battle of Cwmcerwyn is marked by a series of ancient monuments. Legend recalls that Arthur sat and watched his men fighting the Twrch Trwyth from a spot marked by a standing stone known as Eisteddfa Arthur (Arthur’s Seat), slightly north of Brynberian, on the northern side of the main ridge of the Preseli Hills. The Stones of the Knights are difficult to locate, if they survive at all today, and I suspect the four ancient cairns, the highest at 5ft tall, seen prominently along the skyline of Foel Cwmcerwyn, were probably the original draw to the legend of Arthur’s battle with the Twrch Trwyth, as often they are called by the alternative name of The Stones of Arthur’s Knights, no doubt commemorating Arthur’s four champions, Gwarthegydd, Tarawg, Rheiddwn and Isgofan that the giant boar killed here. The western most cairn was excavated in the early nineteenth century, uncovering a typical Early Bronze Age cremation in an inverted urn. However, the other cairns appear to be empty. The next site marking the continuing battle with Twrch Trwyth is marked by The Stones of the Sons of Arthur (Cerrig Meibion Arthur – SN118310), where two erect stones stand about 8m apart, some140m south-east of Ty Newydd farm in Cwm Cerwyn, Mynachlog-ddu, on the southern side of the Preseli Hills. The stones are said to be a monument to Arthur’s sons killed here by the Twrch Trwyth which had swum over from Ireland. The Stones of the Sons of Arthur are part of the Glynsaithmaen group of standing stones located in the moorland around Ty Newydd farm in the hollow beneath Foel Cwmcerwyn in the boggy ground near the headwaters of Afon Wern. The name ‘Glynsaithmaen’, (valley of the seven stones), suggests the group originally consisted of seven monoliths or seven arrangements of stones, only six are obvious today, although other large stones in and around the farm and track behind the The Stones of the Sons of Arthur possibly account for the seventh. Alternatively, it has been suggested that the name may refer to certain stones considered particularly potent for arrow sharpening. If the four cairns atop Foel Cwmcerwyn commemorate Arthur’s four champions lost here in the battle with the Twrch Trwyth, the site of The Stones of the Sons of Arthur must mark the traditional spot where Gwydre son of Arthur, Garselit the Irishman, Glew son of Ysgawd, and Isgawyn son of Banon were all killed by the beast, although only one of these boar hunters is named as Arthur’s son. 3. Chris Barber & John Godfrey Williams, The Ancient Stones of Wales, Blorenge, 1989. Badb is usually conceived as a Crone Goddess, while Morrigan is as Goddess of war or death. Curiously the crow is a common link between them, usually associated as a spiritual form of feminine deities. The raven is similar to thecrow in that it is deeply associated with death deities, specially theOtherworldly body for both Gods and Goddesses. Ravens and crows are depicted flying over the battlefields or in banners. The discovery of a Gallo-Roman inscription, figured in the Revue Savoisienne of 15th November, 1867, and republished by M. Adolphe Pictet in the Revue Archéologique for July, 1868, forms the subject of one of those essays from the pen of the veteran philologist M. Pictet, for which the students of Celtic languages and archæology cannot be sufficiently thankful. 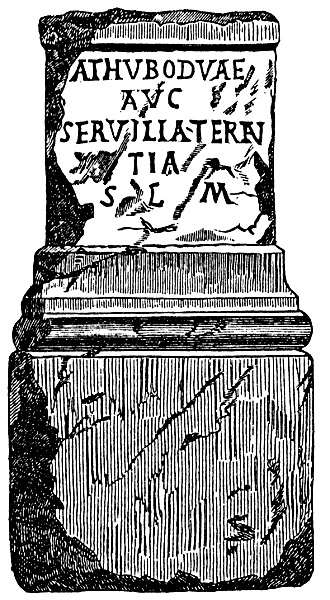 The inscription, the initial letter of which has been destroyed by an injury to the stone on which it is cut, reads: athuboduæ Aug[ustæ] Servilia Terenta [votum] s[olvit] l[ibens] m[erito]. M. Pictet’s essay is entitled “Sur une Déese Gauloise de la Guerre”; and if he is right in his suggestion (which is very probably) that the letter destroyed was a c, and that ATHUBODVÆ should be read CATHUBODVÆ, the title is not inappropriate; and in the CATHUBODVÆ of the inscription we may recognise the badb-catha of Irish mythology. The etymology of the name athubodua, or cathubodua, as we may venture to read it, has been examined with great industry by M. Pictet, who has managed to compress within the narrow limits of his essay a great mass of illustrative facts and evidences drawn from all the sources accessible to him. The first member of the name (cathu, = Irish cath, «pugna») presents but little difficulty to a Celtic scholar like M. Pictet, who would however prefer finding it written catu, without aspiration, as more nearly approaching the rigid orthography of Gaulish names, in which it is very frequently found as the first element; but the second member, bodua, although entering largely into the composition of names amongst all the nations of Celtic origin from the Danube to the islands of Aran, is confessedly capable of explanation only through the medium of the Irish, with its corresponding forms of bodb or badb (pron. bov or bav), originally signifying rage, fury, or violence and ultimately implying a witch, fairy, or goddess, represented by the bird known as the scare-crow, scald-crow, or Royston-crow, not the raven as M. Pictet seems to think. The etymology of the name being examined, M. Pictet proceeds to illustrate the character of the Badb, and her position in Irish fairy mythology, by the help of a few brief and scarcely intelligible references from the printed books, the only materials accessible to him, but finds himself unable to complete his task, “for want of sufficient details,” as he observes more than once. The printed references, not one of which has escaped M. Pictet’s industry are no doubt few, but the ancient tracts, romances, and battle pieces preserved in our Irish MSS. teem with details respecting this Badb-catha and her so-called sisters, Neman, Macha, and Morrigan or Morrigu (for the name is written in a double form), who are generally depicted as furies, witches, or sorceresses, able to confound whole armies, even in the assumed form of a bird. Popular tradition also bears testimony to the former widespread belief in the magical powers of the Badb. I have referred to Neman, Macha, and Morrigu, as the so called sisters of the Badb. Macha revelled amidst the bodies of the slain. It has been already observed that the name of the goddess whose identity we have been endeavouring to connect with Cathu-bodua, is written badb and bodb, just as the adjectives derived therefrom are written badba and bodba, and the driv. subst. badbdacht and bodbdacht. The name Morrigan is also varied, as we have seen, to Morrigu; but as the genitive form is Morrigna, the proper nom. would seem to be Morrigan. In the Middle Irish period the name is often spelt Mórrígan with a lengthening diacritic over the ‘o’, seemingly intended to mean “Great Queen” (Old Irish mór, ‘great’; this would derive from a hypothetical Proto-Celtic *Māra Rīganī-s.). Whitley Stokes believed this latter spelling was a due to a false etymology popular at the time. There have also been attempts to link the Morrígan with the fairy Morgan from Arthurian romance, in whose name ‘mor’ may derive from ‘sea’ or ‘water’, although this link cannot be proven. Scholars such as Rosalind Clark hold that the names are unrelated, the Welsh “Morgan” being derived from root words associated with the sea, while the Irish “Morrígan” has its roots either in a word for “terror” or a word for “greatness”. The popular tales of Scotland and Wales, which are simply the echo of similar stories once current and still not quite extinct in Ireland, contain requent allusion to this mystic bird. The readers of the Mabinogion will call to mind, amongst other instances, the wonderful crows of Owain, prince of Rheged, a contemporary of Arthur, which always secured factory by the aid of the three hundred crows under its command and in Campbell’s Popular Tales of the West Highlands we have a large stock of legends, in most of which the principal fairy agency is exercised by the hoodie or scare-crow. It may be observed, by the way, that the name hoody, formerly applied by the Scotch to the hooded crow or the scare-crow, from its appearance, is now generally applied to its less intelligent relative the common carrion crow. But the hoody of Highland fairy mythology is, nevertheless, the same as the badb or Royston crow. In most parts of Ireland the Royston-crow, or fennóg liath na gragarnaith (“the chattering grey fennóg”). As she is called by the Irish speaking people, is regarded at the present day with feelings of mingled dislike and curiosity by the peasantry, who remember the many tales of depredation and slaughter in which the cunning bird is represented as exercising a sinister influence. Nor is this superstition confined to Ireland alone. “Badb-catha” is explained “finnóg, a royston crow, a squall crow”. “Badb, i.e. bean sidhe, a female fairy, phantom, or spectre, supposed to be attached to certain families, and to appear sometimes in the form of squall crows, or royston crows”. “Macha; i.e. a royston crow”. “Morrighain; i.e. the great fairy”. “Neamhan; i.e. Badb catha nó feannóg; a badb catha or a royston crow”. In the Irish mythological tracts a well-marked distinction is observable between the attributes of the scald-crow and those of the raven; the scald-crow, or cornix, being represented in the written as in the spoken traditions of the country, not alone as a bird of ill omen, but as an agen in the fulfilment of what is “in dono” in dan, or decreed for a person, whilst the raven is simply regarded as a bird of prey, that follows the warrior merely for the sake of enjoying its gory feast. Earl Sigurd also is said to have had a raven banner at the battle of Clontarf, which his mother had woven for him with magical skill 4. This idea fo the raven banner is probably connected with the tradition given in the Vœlsûnga-Saga, which represents Odin as sending the Valkyria Oskemey, in the form of a crow, on a mission to Friga, to entreat that the wife of King Reris might become fruitful 5; and the prayer being heard, a son (Sigmund) was born, whose son Sigurd married Brunhilt, a Valkyria, who was kalled Kraka, or the crow, and who was the wife of Radnar Lodbrok, and mother of Ivar Beinlaus. 3 -See the Dream of Rhonabwy, in the Mabinogion, part. V, pp. 385 and 410. 4 -Todd’s “Danish wars,” introd. p. clxxxiij, note 1. 5 -Fornaldar Sœgur, Copenagen, 1825, pp. 117-118. Arthurian Romance in Brittany: "The Sword of Arthur"